A friend of mine, who is a big dog lover, is celebrating her birthday this week. I thought that this image from the Imagine Better Together cartridge would be perfect for her! I also thought it would be fun to make her an easel card. 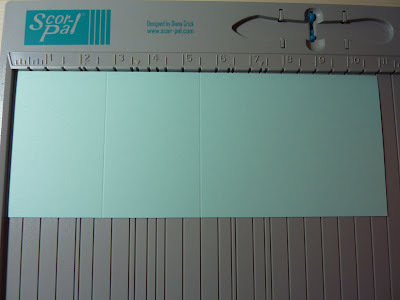 To make the easel card, I first took a piece of 4 1/4" x 11" cardstock and scored it at 2 3/4" and 5 1/2". 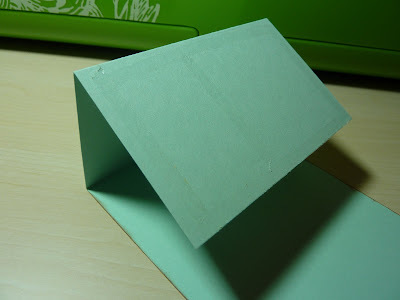 After folding it, I put ATG tape just on the section shown, and then adhered a piece of 4 1/4" x 5 1/2" cardstock. This is how it looks from the side. I flood filled rectangles from Better Together and Best Friends for my background layers. Don't you just love the Best Friends cloud pattern? I use that one so much! 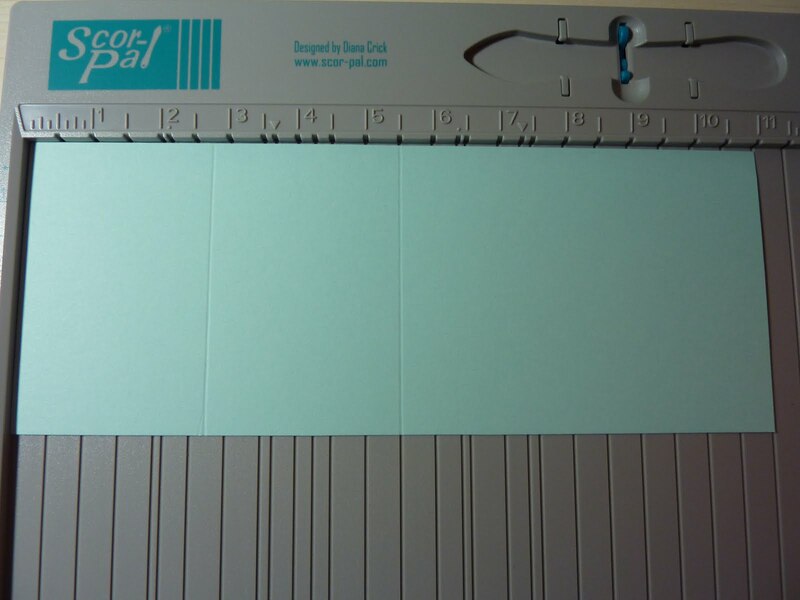 With an easel card, you need to have a popped image that will help prop up the top part of the card. For mine, I took a little 2.2" framed sentiment from Better Together and separated it into layers. 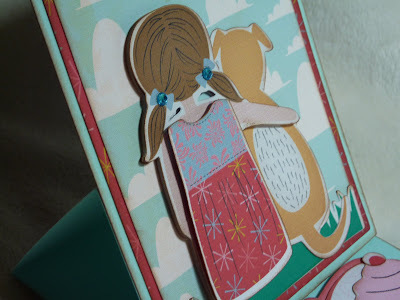 I just used the two base layers so that I could add my own sentiment from My Creative Time's "Wow! So Many Candles" stamp set. 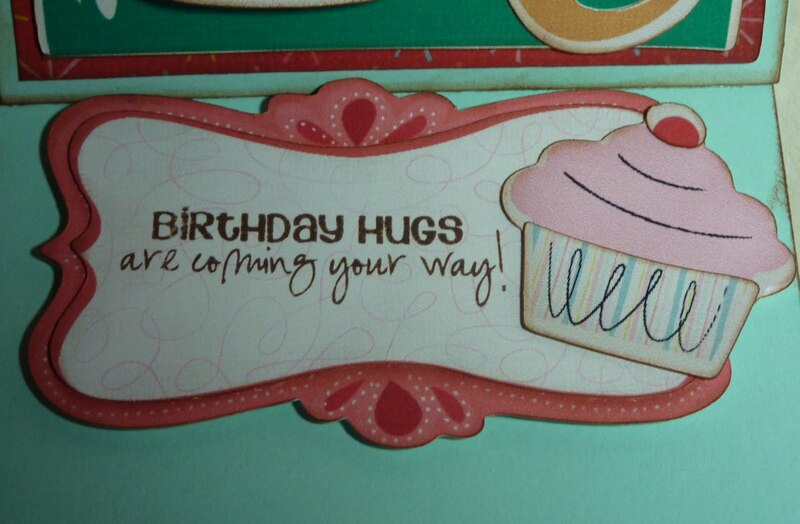 I also added a 1.4" cupcake from Better Together. My girl and her dog are cut at 4". I used the layers and popped them up to give more dimension and added a couple of gems on her hair bows. I love seeing your Imagine cards, keep them coming! 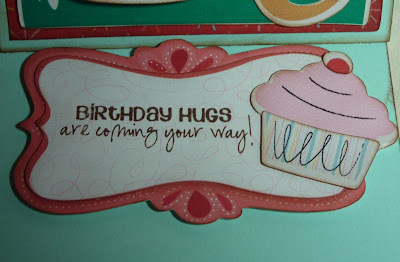 kate you did a wonderful job on your card, your friend will love it, looks so cute!! I love your card. It is adorable. 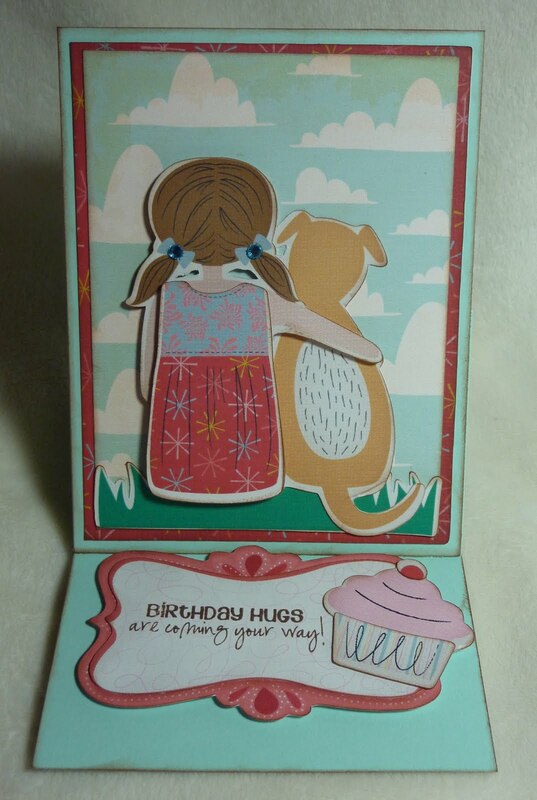 Your friend with dog card is so cute, Just what a friend would get a kick out of, especially if she has a dog. 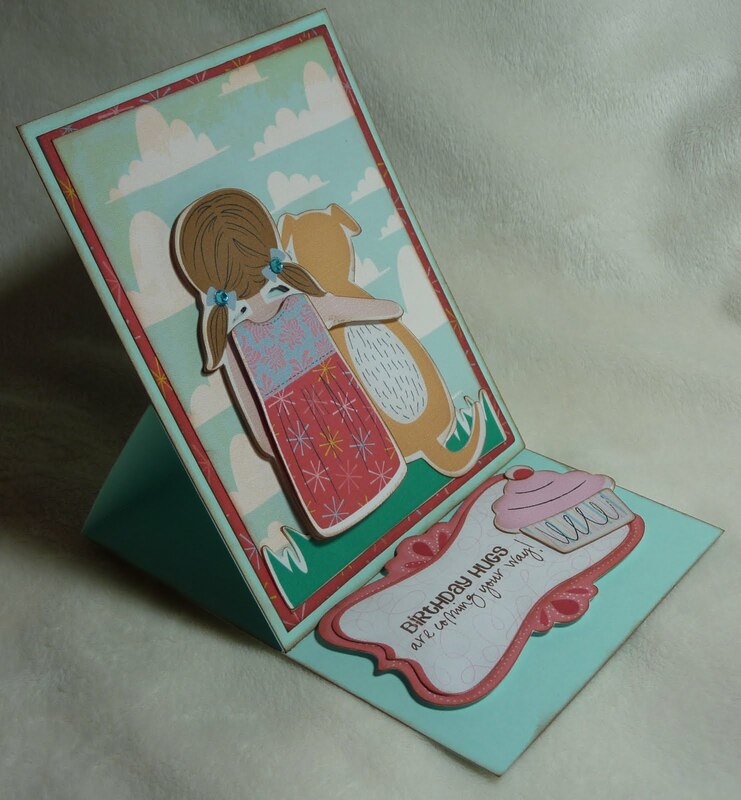 Your card turned out so sweet...lucky friend to get it. Thank You for sharing your ideas.